Perfect accent to our Natural Shells bedding collection. 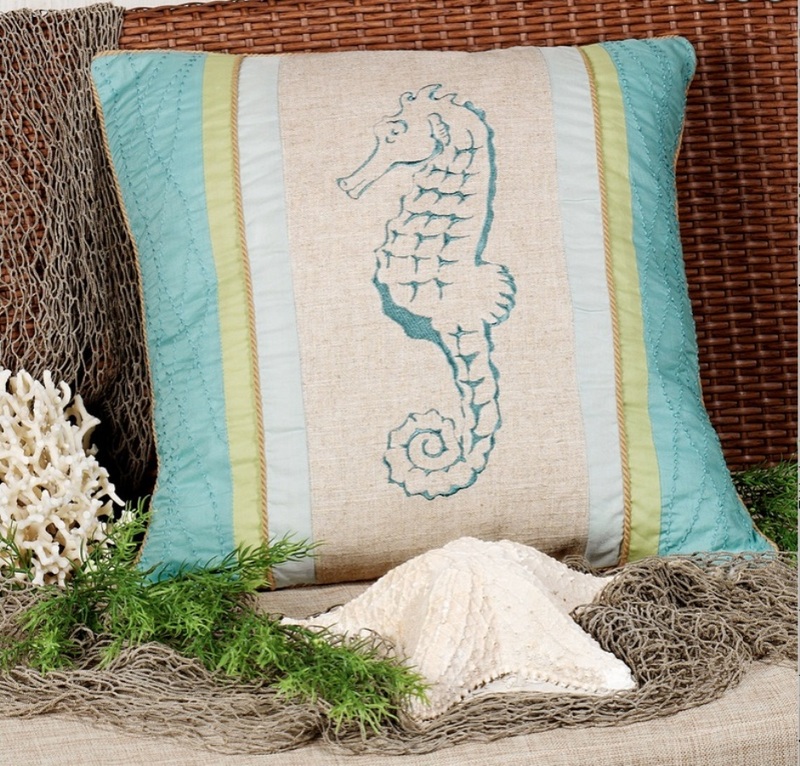 With its embroidered seahorse outline and coastal colors, the Natural Seahorse Throw Pillow gives a relaxing, beach feel to your decor. 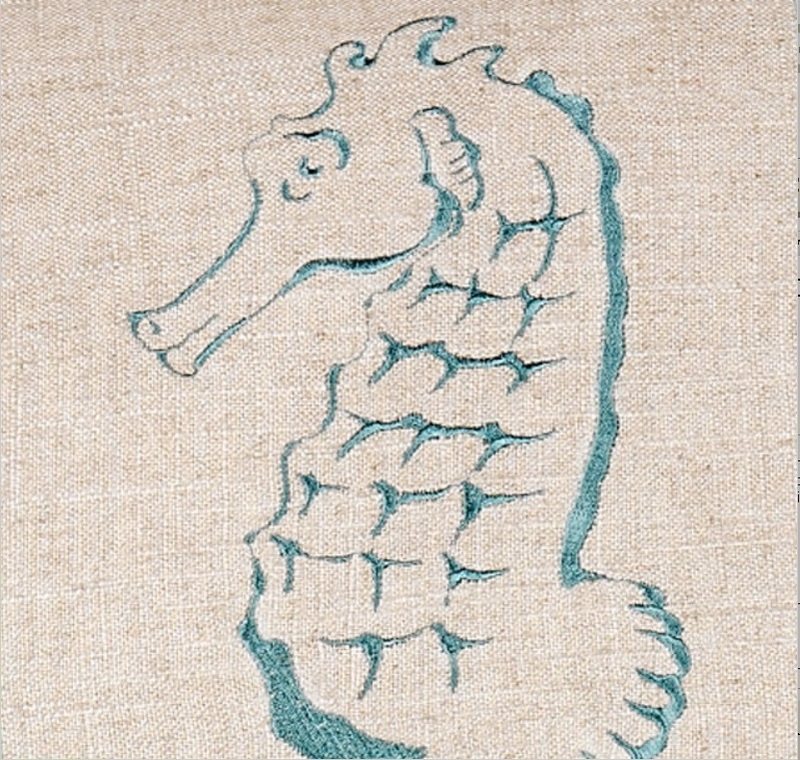 Cotton, viscose, and linen pillow is corded and has colors of aqua, blue, beige, khaki, and green.